A clever way to pre-plan cutting papers …. I have added some instructions and with photos here to a cute little spinner album I made and taught a class for a while ago using double sided paper from Basic Gray. Basically I told my students to look for natural embellishments that may be in their paper before they committed and cut the paper for use as background in their pages of the spinner album. Some papers had some nice scallopped borders that students could cut out, some had beautiful flowers or other natural lines that could be used in borders. 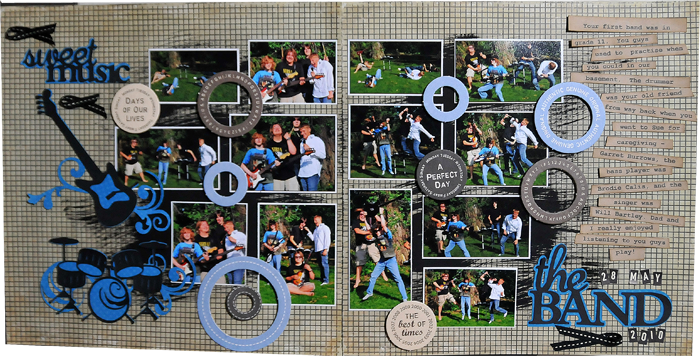 You will find suggestions I gave them for cutting their papers and some photos of the finished album in the link below, as well I provide some photos of the finished album below the link. The whole album was made with less than 10 double-sided pages and some ribbon, flowers, a few tags, inks, embossing powder, and buttons. Come on over to another Freaking scrappy challenge … where we have a new challenge on to the end of the month!!! For this game we challenge you to feature yourself in costume, or a costume that you have made or inspired, incorporate the colour purple somewhere in the layout, place a surprise somewhere in the layout . If you do not celebrate Hallowe’en where you are – scrap about dress-up – either for a formal affair, or for play!! Now – you are welcome to play along and post your layout even if you are stumped on any of these requirements – we encourage you to play along regardless!! We don’t penalize – we like everyone to have some fun and play along in the spirit if they are able to! Here is my layout using Little Yellow Bicycle paper and featuring my daughter Mary at her class party a few years back!! Vote for my friend Lee!! My friend Lee Schertzing has moved on to round two of Practical Scrappers card making challenge. Please go vote for her wonderful work – and don’t forget to vote every day of this round please!!! Congratulations Lee!!! You go girl!!!! 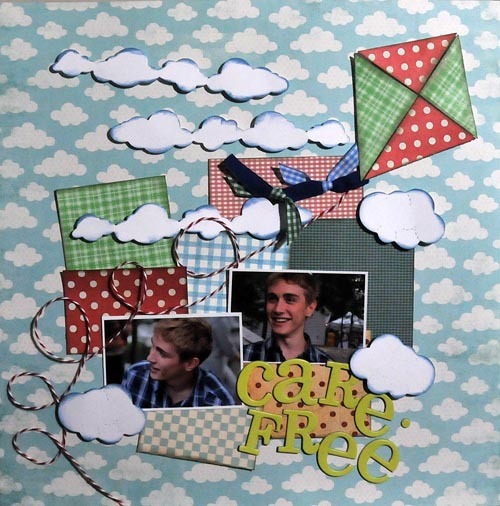 Over at Scrapbookers Anonymous Lea and Theresa have another terrific challenge on!! 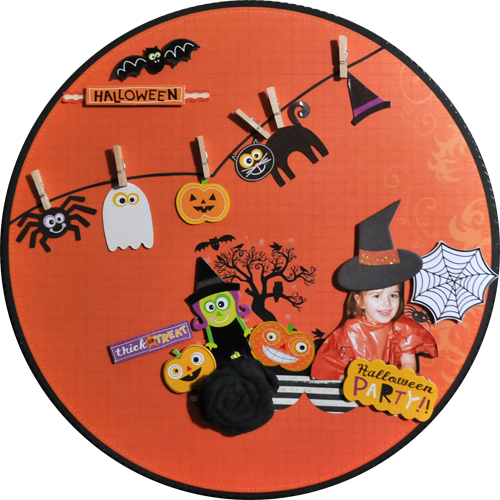 The challenge is to use your neglected die-cut machine, or, if you don’t have one – to use up purchased die-cuts you have in your stash. I LOVED THIS CHALLENGE! Come and play along with us! Pencillines sketch 252 was used as inspiration! !